Nowadays, more and more people begin adopting bug detector for privacy protection with the increasingly abuse of hidden cameras, bugs, eavesdropping equipments. If you just start being aware of the concern, here is one of the best alternative anti-spy gadget for you: radio frequency detector bug detector. 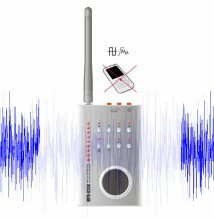 The functionality of this RF bug detector is comprised of multi working modes as analog detector mode, digital detector mode, analog detector waiting mode, digital detector waiting mode, white noise generator mode, and white noise generator mode on a digital detector signal as well as white noise generator mode on a analog detector signal. 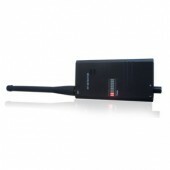 The detection is capable of hidden detection by choosing vibration mode. 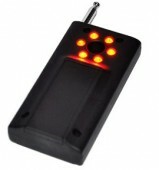 You can effortlessly switch among the modes for specific detection with led indication and pushbutton. The detector is designed to locate RF signal source and analog signal with a wide frequency range from 1MHz to 8000 MHz. The spy detector can efficiently protect you from various forms to privacy prying: eavesdropping of phone conversation, hidden listening devices inside conference room or office, unauthorized use of mobile phone as tapping devices. Come with high capacity and fast charging battery, the detector is user-friendly designed for both institution and individual application at a variety of locations. DT163902 becomes practically irresponsive to the stationary analog signals. 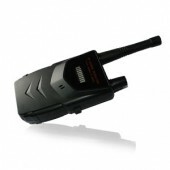 In this mode the field detector responds to radio-frequency signals with the digital modulation, mostly of the GSM standard and other low-speed data transfer protocols. 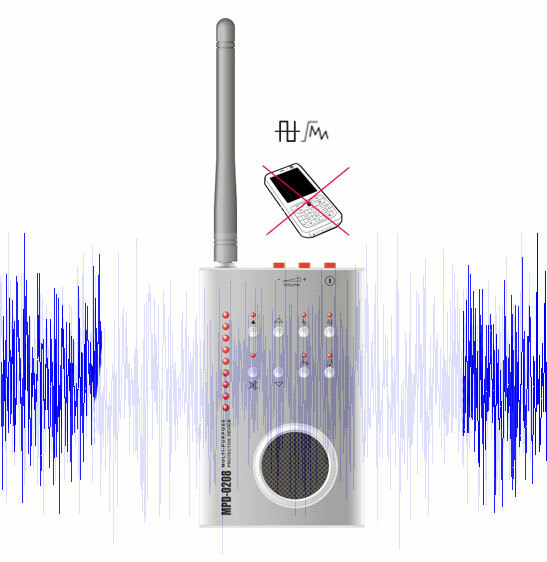 This mode does not ensure guaranteed detection of the radio-frequency radiation sources with high-speed data transfer protocols or can only provide it for conditions of the complete radio silence and the low level of external background interference. The design is just as I required. I am satisfied. The product is of good quality, works very well. The delivery is even faster than I have expected.